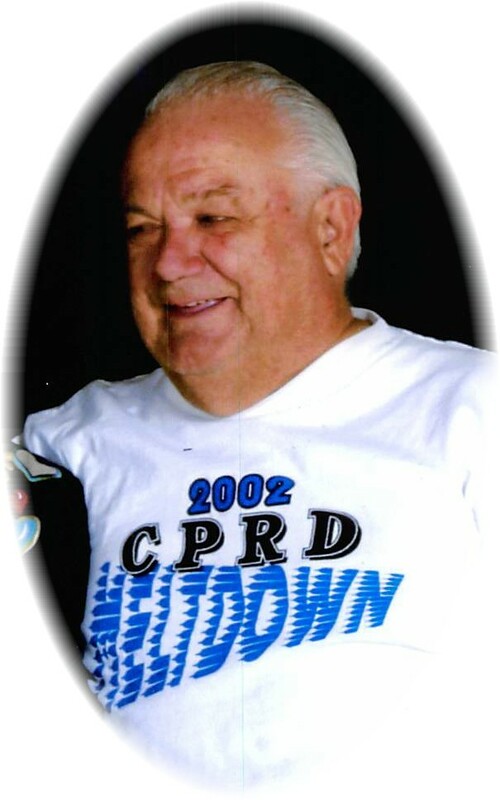 Joseph Alfred Oberth, 84, of Colstrip passed away on April 8, 2019 at The Colstrip Medical Center. Joseph was born on March 27, 1935 to his parents, Michael and Mary Oberth. He had four older siblings; Michael, John, Mary, and James. Joe started working his first real job at the age of 16, introducing and selling pre-packaged frozen vegetables in a Kroger grocery store. He later worked at a large department store selling men’s suits. It was during this time that he met the love of his life, Carol. He was also a taxi driver/chauffer for a short time. Joe was a driver in the Vice President, Lyndon Johnson’s motorcade when he visited the Cleveland area. He then started his lifelong career with the United States Postal Service. On May 30, 1958, Joe and Carol got married in Cleveland, Ohio. Joe picked Memorial Day to get married so his coworkers in the postal system would have the day off due to it being a national holiday! They had three children: Carol, Tom, and Susan. Joe and Carol were also blessed with three grandchildren: David, Rebecca, and Thomas; and 3 great-grandchildren: Cody, Marlena, and Dennis. Joe started his career as a mailman, delivering mail in Cleveland and its suburbs. He later became a branch manager in Parma, Ohio and then Postmaster in New Philadelphia, Ohio where he worked until retirement. If you mentioned an address to Joe recently, he could tell you who lived there when he delivered mail to them back in the 50’s and 60’s! Joe and Carol moved to Colstrip, Montana in 2001 to be closer to their youngest grandchild so they could be a part of his life; as their 2 other grandchildren were adults. Joe thoroughly enjoyed his years in Colstrip, making many friends throughout the years and staying very active in the community. Joe and Carol were even Grand Marshals for the Colstrip Days parade in 2006. Joe was a great husband and father, always looking out for his family. He loved to drive and always took the family on vacations visiting most of the nation by car. Once Joe started driving, he didn’t stop until he reached his destination even if it was a few days away! He had a strong preference for red cars; maybe it was because Joe’s father always said red cars go faster than black cars! If Joe had spare time, he loved to use it driving somewhere! Joe will be missed terribly by his family. Joe and Carol had some difficult times during the past few months. We would like to extend our greatest thanks to the staff at Colstrip Medical Center, the staff at the Colstrip Police Department, the ambulance personnel, Colstrip Senior Center, the staff at Lakeside Assisted Living, and all the neighbors and friends in Colstrip who were always there with a helping hand. Joe was preceded in death by his parents, Michael and Mary; siblings, Michael, John, Mary and James. He is survived by his loving wife, Carol of over 60 years; children: Carol Zufan (Steve), Tom (Boyang), and Susan Hayes (Arthur III); grandchildren, David and Rebecca Zufan, Thomas Hayes; great-grandchildren, Cody and Marlena Zufan, and Dennis Heard Jr.; nieces and nephews: Mary Ann Nofel, Gretchen Oleski, Christine, Matthew, Patrick, Jane, and Paul Oberth. We were sorry to hear of Joe’s passing. We will have a mass said for him. So sorry for your families loss! Prayers for you during this difficult time. so sad to here of Joe’s passing. he was a very funny person and will be greatly missed. thinking of you all. I was saddened to hear if Joe’s passing. May you find peace and comfort in the knowledge that you will see him again. Prayers for you at this sad time. Dear Carol- I am so sorry to learn of Joe’s passing. One of a kind- I am grateful for knowing both of you. He will be missed. Prayers for you and the community. I am so sorry to hear of Joe’s passing. He was a good man and I was honored to call him my friend. My thoughts and prayers are with you and the family. We were so sorry to hear of Joe’s passing. The neighborhood and community will miss him. Please know that our thoughts and prayers are with you. Carol and Family – Dave and I are so very sorry to hear of Joe’s passing. What a character our Joe was. Thinking of you today! Hugs & Prayers. Sorry to hear of Joe’s passing, we will miss our visits with him. Our thoughts and prayers are with the family at this time. May you have peace and comfort remembering him. So sorry to read of Joe’s passing. Brings back memories of visiting with him while Carol taught art at Birney School. My thoughts and prays are with all of you during this time of loss. Carol and family, we were saddened to hear about Joe. He was one that cared deeply for family. Always enjoyed talking to him when getting vehicles repaired. Our thoughts are with you all during this sad time. Our condolences to Carol and family. Joe and Carol reached out to the Northern Cheyenne communities over the years, it was appreciated. Carol, We are saddened to hear of Joe’s passing. Our thoughts and prayers are with you at this most difficult time. Carol and family – Joe was a wonderful person always willing to stop and talk. His involvement in the community was exceptional, and he would always take the time to stop and visit with you when he was out and about. Our thoughts and prayers are with you and your family during this time. Sorry to hear of Joes passing. Prayers for Carol and all of his family. Sorry we will miss his service as we are out of town. May the love of God, family and friends support you during this difficult time. Joe always had a story to share and loved Colstrip. Duane and I are so very sorry to hear of Joe’s passing. He was such a kind and humorous person. We enjoyed visiting with him and you during lunch at the Senior Citizen’s. Our prayers are with you and your family at this sad time. So sorry for ur loss grandma. I wish Dennis had a chance to meet grandad but glad he got to talk to him on the phone. We r here for u grandma and love even more. We will miss you!!!!! Dad, Granddad, and Great Granddad!!!!! Love Carol Oberth-Zufan and Steve, David, Rebecca, Cody, Marlena Zufan. And Dennis Heard Jr.
We are very sorry for your loss. May you find peace. He will be missed greatly. Our sincere condolences you you and all your family. The Staff at Lakeview Assisted Living. Thoughts of hope, peace with comfort during this time of your precious loss of a family member. Sincere Condolences and Sympathy as the arms of family and friends is wrap about you about this time and share precious remembrance as he has touch and left memory to reflect on in life. As you and your family is lifted up in and with prayers. Carol our hearts go out to you and your family during this time of loss with sincere sympathy and condolences. Prayers for comfort and may the Lord wrap His ever loving arms around you and give you peace. Joe will be miss by many as Colstrip has lost another and Heaven has gained another angel. Love and Hugs! Carol our hearts go out to you and your family during this time of loss with sincere sympathy and condolences. Prayers for comfort and may the Lord wrap His ever loving arms around you and give you peace. Joe will be missed by many as Colstrip has lost another and Heaven has gained another angel. Love and Hugs! Sending our sincere sympathies to you and your family, Carol. You and Joe are both part of our fond memories of Colstrip. God bless you all and bring you solace. Carol and family, I Was so sorry to hear about your loss of Joe. He always had a story to tell and a smiles on his face. Please know you are all in my thoughts and prayers. Just saw Joe and Carol in Billings not long ago. Joe and Carol always represented everything good about Colstrip. Joe was so welcoming and willing to talk with anyone any time. He made everyone feel like they were his close friends even if they were actually virtual strangers. Darla and I sent Carol, Tom and the family our sincere sympathy. Joe has a special place in heaven! Im so sorry for the loss of Jo. Keep stamp collecting in heaven. Carol, I will miss seeing Joe around it was always good visiting with you both. My heart goes out to you and the family. Joe will be sadly missed. He always had a hello ,a hug,and a smile. Praying for your loss Carol.